Note: This post will remain at the top of this site through 9/11 and has been dated 9/11. Please scroll down over the weekend to view other posts as they are added later today and Sunday. Army Specialist Chin Sun Pak was among those whose lives were taken on 9/11. 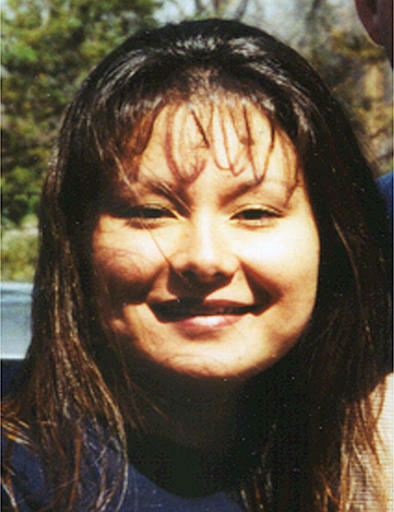 “Pako” or “Sunny”, as she was often called because of her sunny disposition, had no premonition that she was to die that day, two days shy of her twenty-fifth birthday. Her finance, Christopher McFarland, had teased her that morning about having to go to work at the Pentagon while he himself had off that day. She had teased him right back, telling him to have dinner waiting for her when she returned home. She never did. Sunny, a young woman from Lawton, Oklahoma, enlisted in the army on December 23, 1997. Her basic training and advanced individual training was received at Fort Jackson, South Carolina. From there, she served in Korea at the 8th Army headquarters. By 9/11 she was serving as a personnel specialist at the Pentagon at the office of the Deputy Chief of Staff for Personnel. Chin Sun Pak had also received the Joint Service Achievement Medal, Joint Service Commendation Medal, and the Army Good Conduct Medal. Chin Sun Pak, by all accounts, was a truly beautiful person with many hopes and dreams. She and McFarland had planned to marry in March of 2002. They dreamed of starting a family together. Sunny also had plans to study medicine after she left the service in February of 2002. Those dreams were nullified on September 11. Sunny and I were engaged over the past 4 years and were to be married in March 2002. Never have I felt pain in my life like I have since September 11th. I lost my fiancee', my friend, and the love of my life. I love you Sunny. I knew Sunny from Korea, she was a beautiful person inside and out. I will truly miss her and my heart goes out to her family, Christopher and friends. What took place on Sept. 11 has changed my life and made me aware of how you can know someone and lose them in an instance. I think about her everyday and I know she is looking down upon us from that house not built with hands, eternal in the heavens. I love and miss you Sunny. Sunny was a very close friend to me. Chris is my brother in law and we lived 1 mile from each other. We spent alot of time together playing games and talking. She was there at the hospital when I gave birth to my son A.J. She loved him and treated him like her own. She was a wonderful person and I will never forget her. I miss her so much. My prayers go out to all of her family and friends. I will always miss and love you Sunny. Most of us did not have the honor of knowing Chin Sun Pak personally. No doubt we are the worse for it. A young woman who served her country well and who brought joy and sunshine into many lives, a woman committed to raising a family with a man she loved, a woman who wished to continue serving her fellow citizens by studying and practicing medicine surely would be worth knowing and is clearly worth honoring and remembering. Be sure to check out the other tributes to the 9/11 victims and heros here. such a young vital woman...serving her country. What a great tribute! How sad to read the words of those who loved her so much. I was so thankful that people took a moment from their grief to write about their loved one, it helps us to know them better and put a life with the name. Thanks for your work, even though reading these makes me just about break down crying. All those lives, all those people, for what? For a brutal hate-filled scheme to kill or subjugate the world to a fanatical tyranny. We must never forget. Nicely done. I think this project serves as a fantastic example of how we can turn these deaths into a positive. Look at all the wonderful comments made by perfect strangers all over the internet on account of it. It sure strengthens my belief in humanity. I hope it does for you too.